ITEN, the IT Entrepreneur Network, recently honored TruQC as a Top Ten tech startup in the city of St. Louis. The report is intended to provide an overview of the tech startup ecosystem in the greater metropolitan area. It was presented at a special release party, which took place at the startup incubator T-Rex on Washington Avenue on March 1. 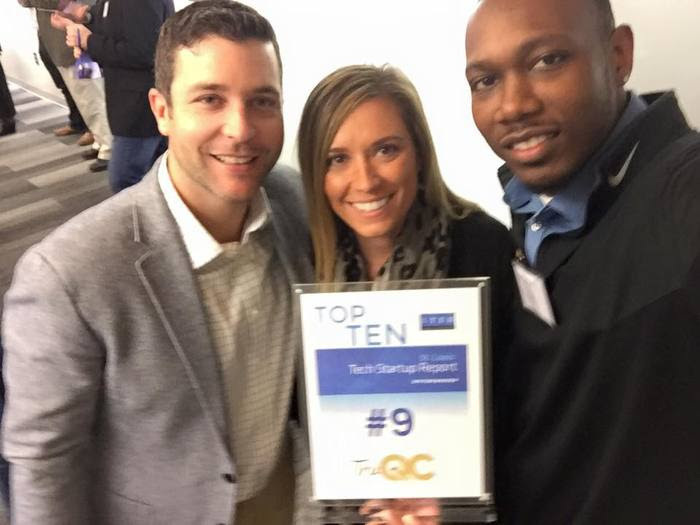 TruQC was awarded ninth place for startups in 2015 at the ceremony. ITEN has been ranking startups since 2012, releasing an annual report of the top ten and fastest-growing startups. This is the second consecutive year that TruQC has been honored among the top ten St. Louis tech startups. You can read last year’s ITEN announcement here. TruQC is cloud-based quality control and process documentation software built for the iPad. It makes objective, integrated quality control a possibility for any industry. The company was founded in St. Louis, Missouri in 2011 to address inefficiencies in the industrial coatings reporting process. Founded in 2008, ITEN works to accelerate the growth of tech startups in the St. Louis area. They pair startup ventures with experienced volunteer mentors and create programs to assist with product development, networking and funding access. ITEN has served more 280 startups since its inception.